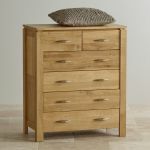 If you're looking for storage solutions then we invite you to pause a minute to consider this resplendent Chest of Drawers from our contemporary Galway range. 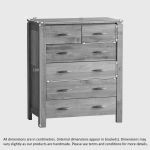 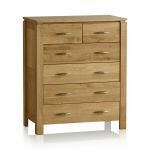 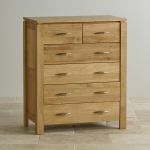 Made using premium grade natural solid oak timbers, it features four deep drawers with two half-width drawers nestled above. 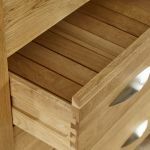 Each one is solidly put together using traditional dovetail joints; this type of joint is noted for its incredible resistance to being pulled apart, which means you can stuff these drawers to the brim with clothes or shoes! 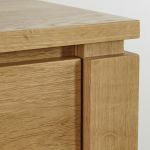 Finishing touches include attractively inlaid side panels, contemporary brushed metal handles and an exquisitely raised top. 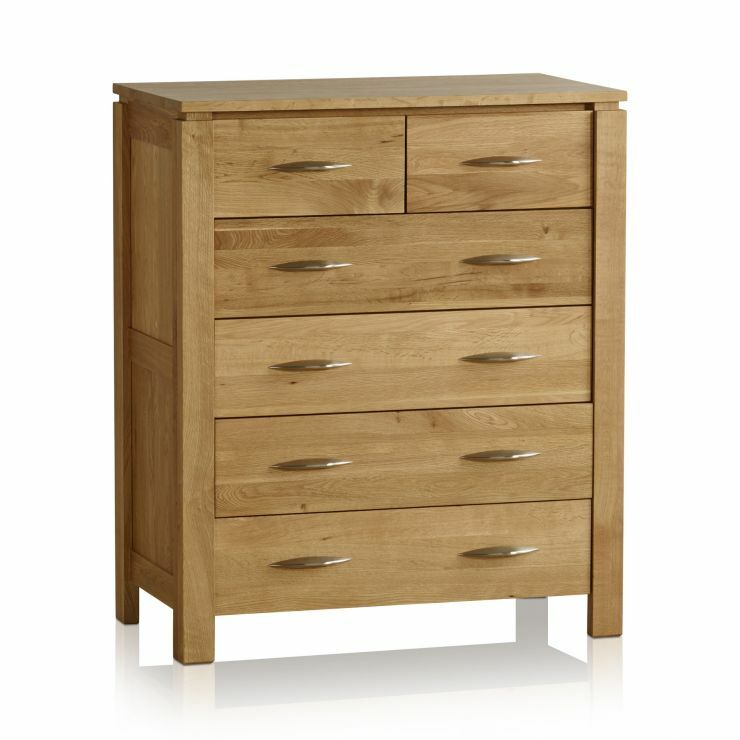 We never skimp on materials at Oak Furniture Land - even the back of this chest is made from 100% solid oak.